If you want to know how best to prune a fruit tree or even how to plant one, Alicia Lamborn can do more than just tell you—she can take you out back and show you. Lamborn, a horticulture agent with the University of Florida Institute of Food and Agricultural Sciences Extension Baker County, recently received a $500 grant from Miracle Grow to establish a fruit tree orchard in the arboretum behind the county office. She’ll use the area to teach residents how to care for plum, fig, persimmon and other types of fruit trees. 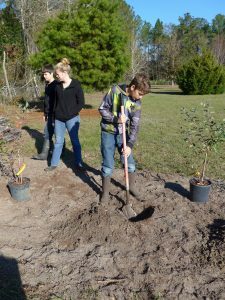 The learn-by-doing approach was on display earlier this month when Lamborn and 4-H agent Shaina Spann led a group of Florida Master Gardeners, 4-H volunteers and 4-H youth in planting over a dozen fruit trees, as well as blackberry and blueberry bushes, in the orchard area. Over the course of the morning, Lamborn explained how factors such as light exposure, soil drainage and temperature affect trees’ health and the likelihood of a good harvest. Lamborn and Spann’s goal is to turn the area into an outdoor classroom for youth and adults. 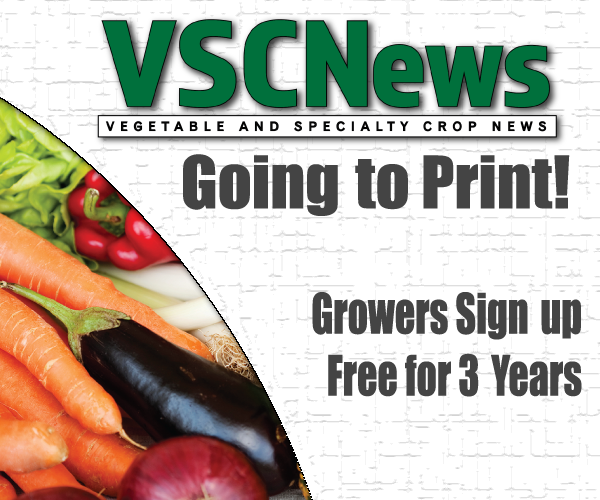 Going forward, they hope to secure more grant funding to add citrus trees and vining plants to the mix. The first orchard workshop on planting and first year maintenance is set for Jan. 20 from 2 to 4 p.m. at the UF/IFAS Extension Baker County facility, located at 1025 West Macclenny Avenue, Macclenny, FL 32063. Registration is $5. For more information, call 904-259-3520.